With the overflowing data from everywhere, your iPhone reaches a state where it no longer responds to you, though there aren't any problems at all. In such situations the only option that can bring back the device to normalcy is resetting it. As you know, resetting involves loss of data and make it unrecoverable. 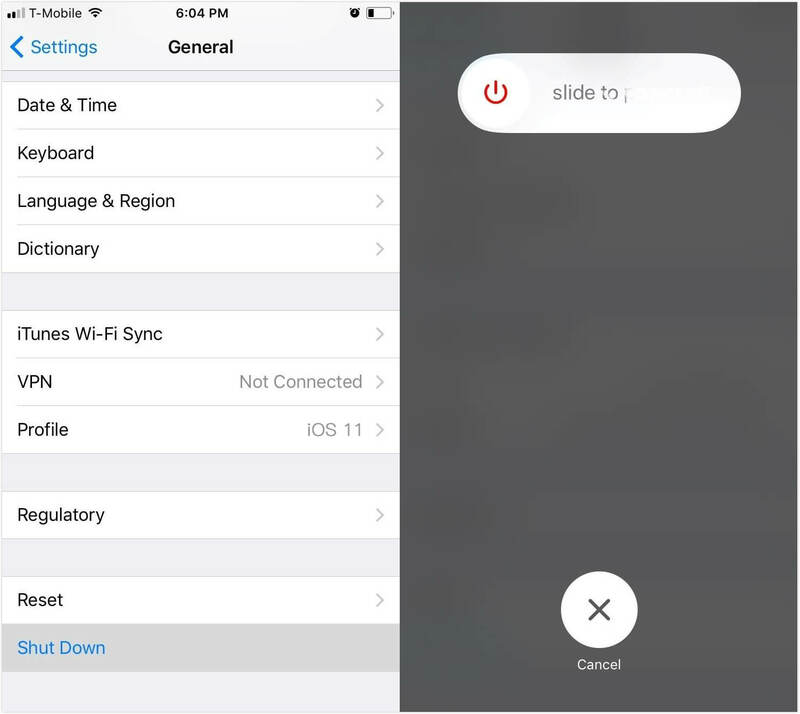 So, you can be on the safe side by learning how to completely reset iPhone safely. In case you are unsure about how to do that, we have the solutions for you. In this article we have collated multiple ways of resetting you iPhone, whether you have an iPhone 6/6S/7/7 Plus/8/X/X Plus or the latest iPhone XS/XS Max/XR. Way 1: How to Soft Reset An iPhone? Way 2: How to Hard Reset An iPhone from Settings? 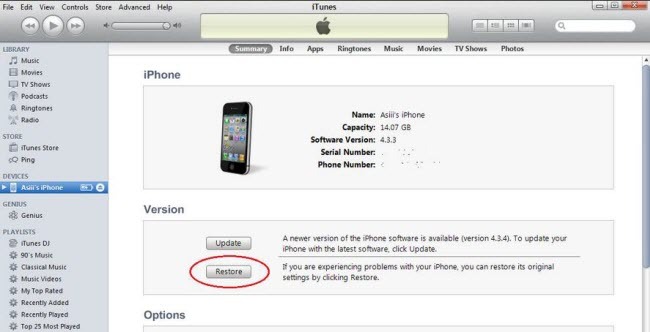 Way 3: How to Factory Reset An iPhone with iTunes? Way 4: How to Reset a Frozen or Stuck iPhone with Any iOS System Repair (No Data Loss)? Soft reset or force resetting your iPhone can resolve whatever software issues you might be facing. Here is how to soft reset iPhone for different models. Push down the 'Sleep/Wake' and 'Home' keys together as long as the Apple logo is not on sight. Once the Apple logo glows, un-hold the keys and let your iPhone restart. Tap and hold 'Volume Down' and 'Sleep/Wake' keys together and wait till the Apple logo appears on screen. Allow your iPhone to restart after that. Swiftly click and leave the 'Volume Up' key followed by the 'Volume Down' key in the same pattern. Now, hold down the 'Sleep/Wake' key and wait for the Apple logo and then let the iPhone restart. Step 1. On your iPhone browse 'Settings' > 'General' > 'Reset' > 'Erase All Content and Settings'. Step 2. You are prompted to enter iPhone passcode and then a warning appears saying 'Erase iPhone'. Confirm by entering the Apple ID credentials. Step 3. Now, the iPhone will be completely erased of any data and reach the stage when you bought it. Step 1: Launch iTunes and connect your iPhone with the PC using a lightening cable. Step 2: From the iTunes interface, click on the device icon located at the top left corner. Hit on 'Summary' tab thereafter and then choose 'Restore iPhone' option. Well, the above methods have been enough to explain how do you reset an iPhone, but what if the device turned unresponsive and got frozen. In such cases, you can always rely on Any iOS System Repair to reset your iPhone. This tool can handle even iOS 12 update related recovery mode stuck devices, along with restore and iTunes not recognizing iPhone issues. Entering and exiting recovery mode is a cake walk using this software with a single click. For rebooting failed iPhones also, the program can help then enter and exit recovery mode, without putting the iPhone device data at risk. There is no data loss at any point of the process, which is a great thing to take into consideration. The 'Repair Operating System' feature fixes every iOS issue with ease with no data loss. Here is the guide explaining how to do a factory reset on iPhone using Any iOS System Repair, Please Go to download the tool on your PC or Mac. After that install the software and launch it to initiate the iPhone resetting process. Step 1: Use a USB cable and get your iPhone connected to the computer and then tap on the 'Repair Operating System (Fix All iOS Stuck)' option over there. Step 2:	After that, hit the 'Start Repair' button as the second step. Once done, you need to download the latest firmware package. Just hit on 'Download and the rest will be done by the program automatically. Step 3:	Press the 'Start Repair' button again on the following screen and wait until the issue has been taken care of and your iPhone has been reset. 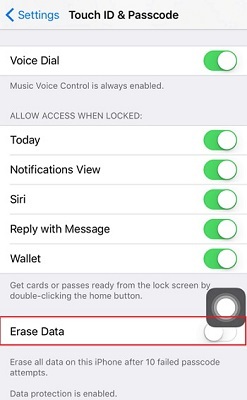 Note: In case you don't have an iPhone passcode and finding it tough to reset the device, tap on the 'Advanced Mode' found on the 'Start Repair' screen and get the issue resolved at the earliest. From the above article, we reached into the conclusion that no matter what kind of reset you want to do on your iPhone, if you want a process that can ensure data integrity and security then Any iOS System Repair is the most trusted free method. Apart from resetting your iPhone, it helps you bring your iPhone out of recovery mode or enter the recovery mode with a single click, which is tough for any other software. iPhone Factory Reset Itself, Why and What to Do?